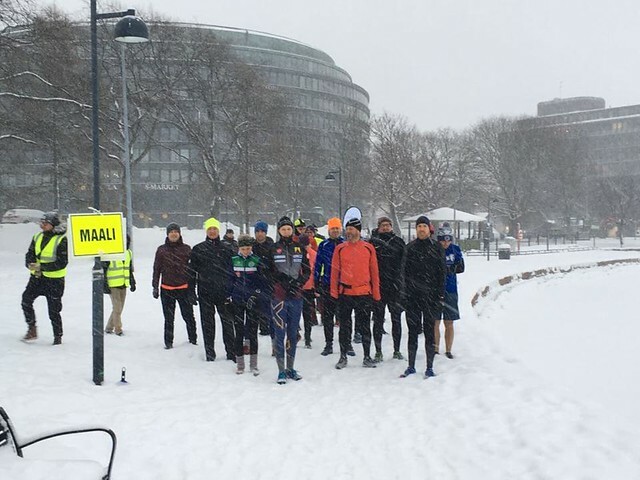 From North to South and East to West, it was a blanket of snow that covered the whole of the region this weekend. 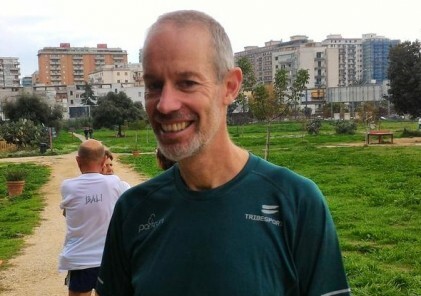 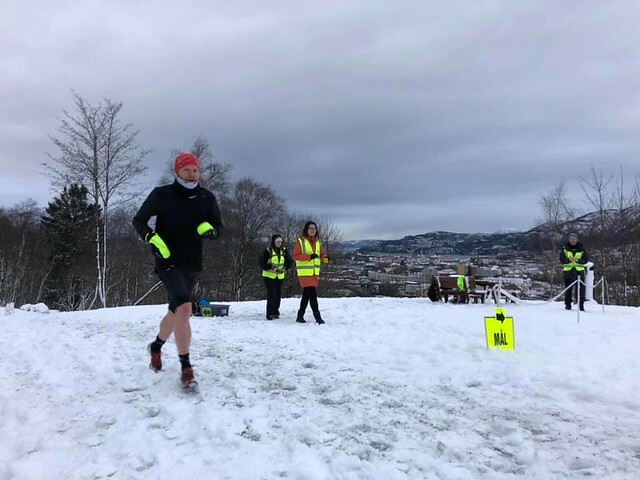 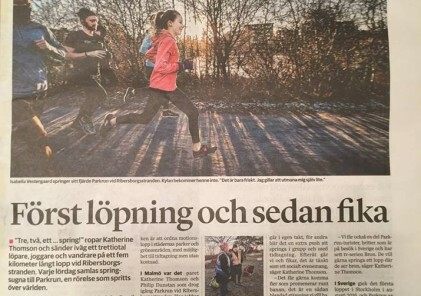 “The running tights were in the wash” – a brave clothing choice at Løvstien parkrun, Bergen! 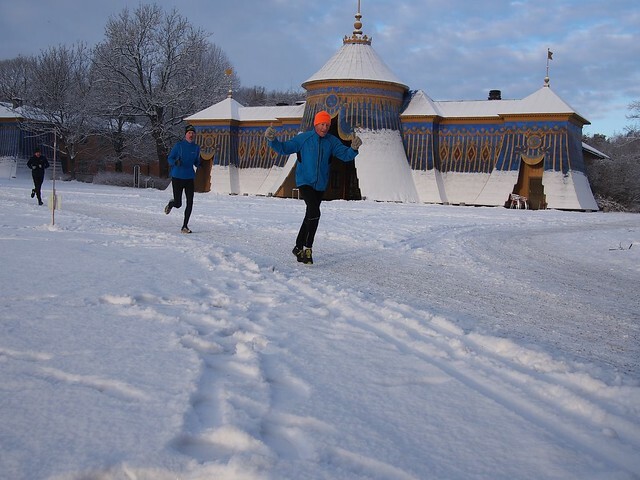 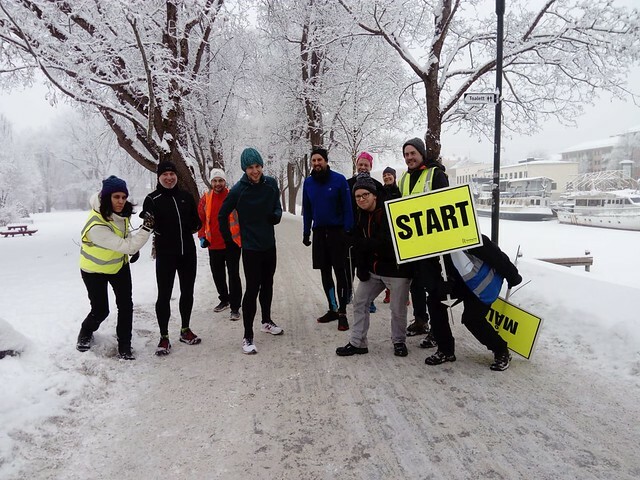 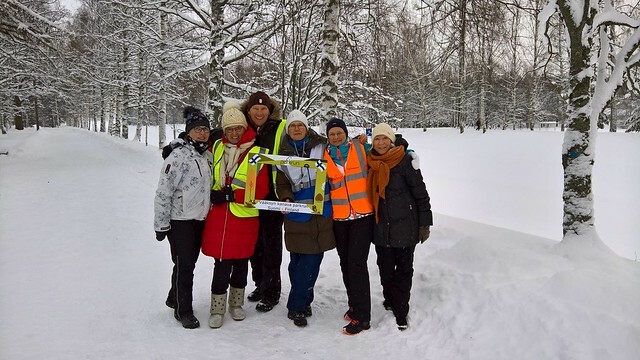 The award for toughest running conditions of the week goes to Tokoinranta parkrun in Helsinki! 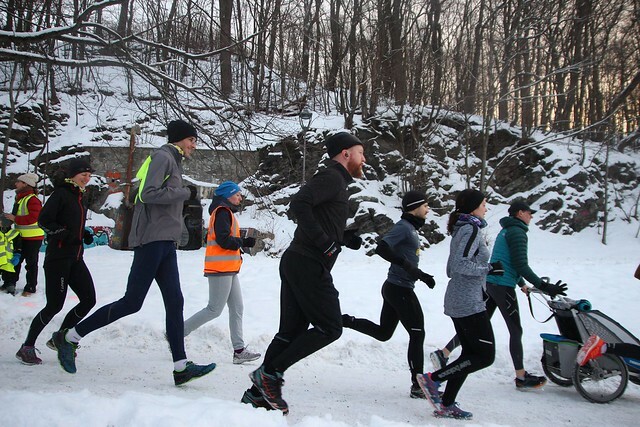 And they’re off! 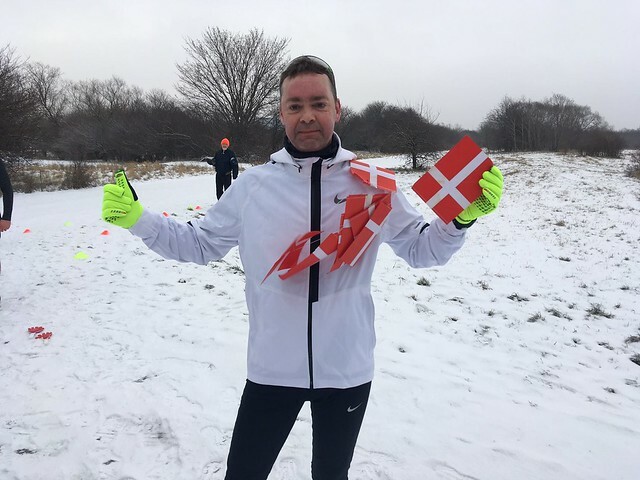 At Tøyen parkrun. 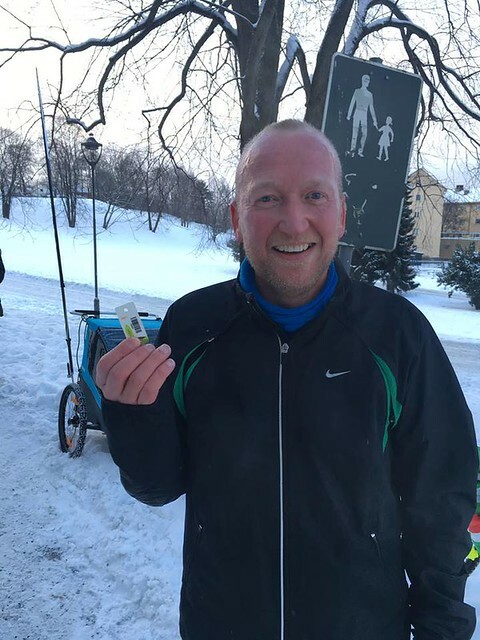 Here Peter Hack was first finisher for the first time in 28 runs – try, try and try again and you will succeed! 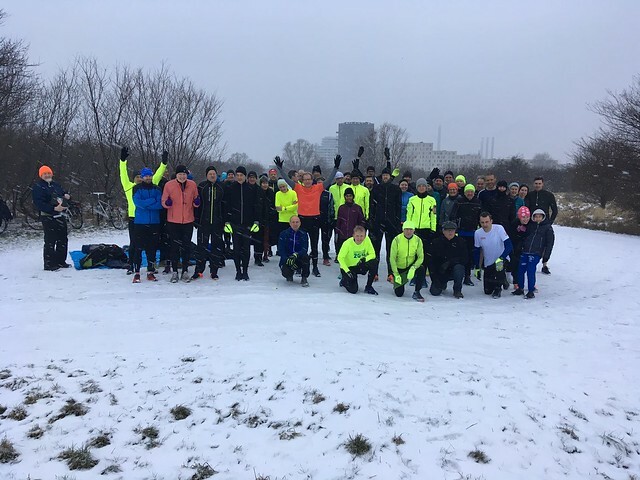 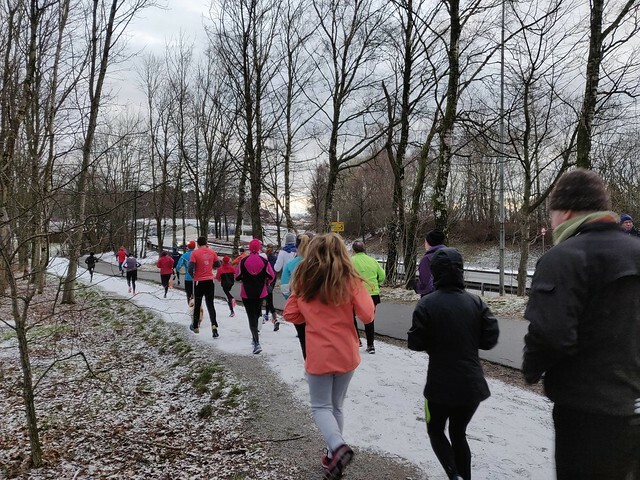 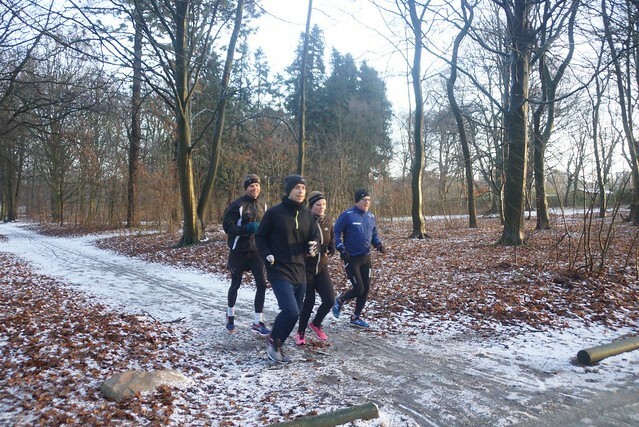 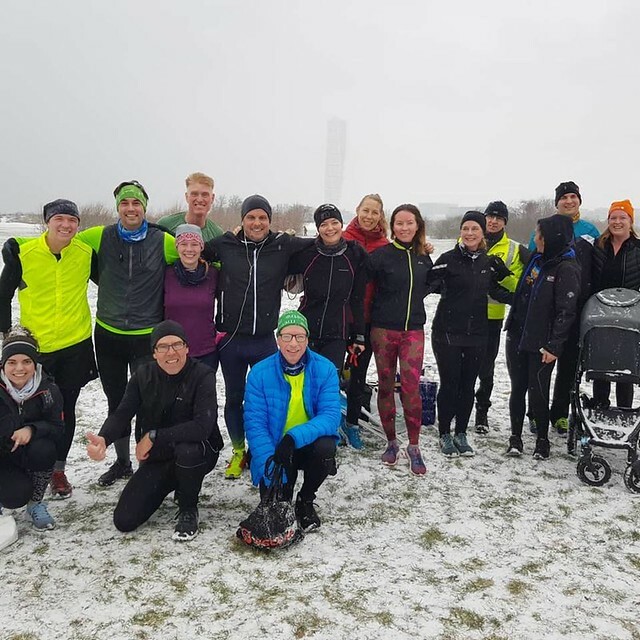 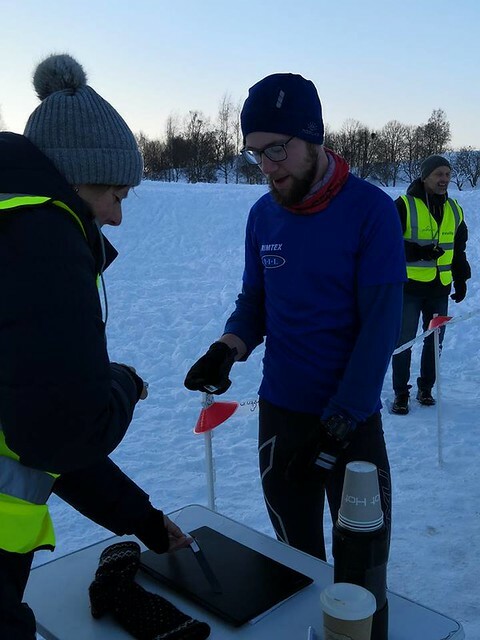 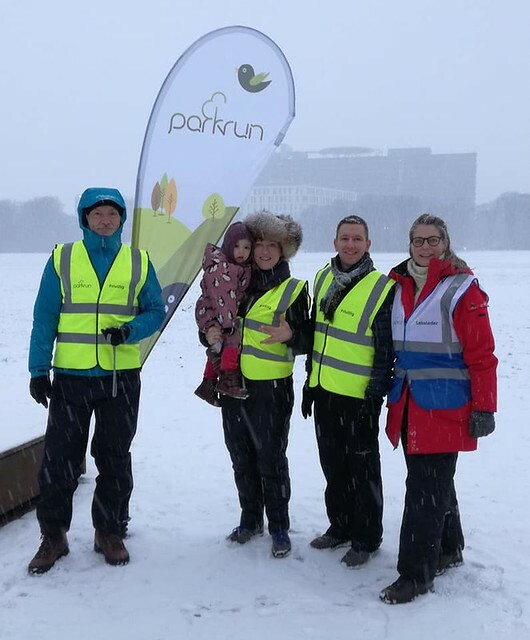 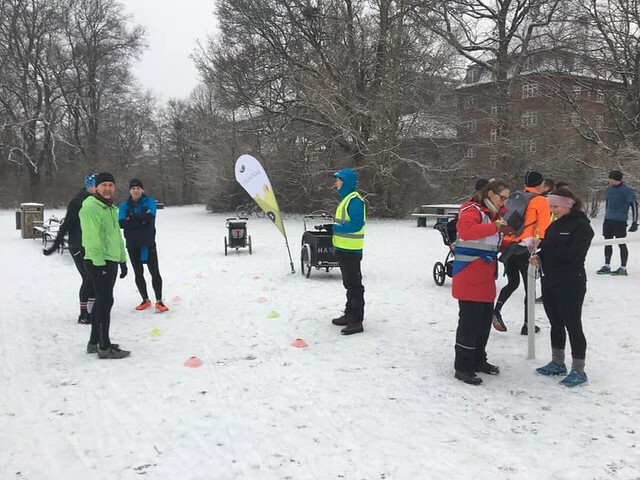 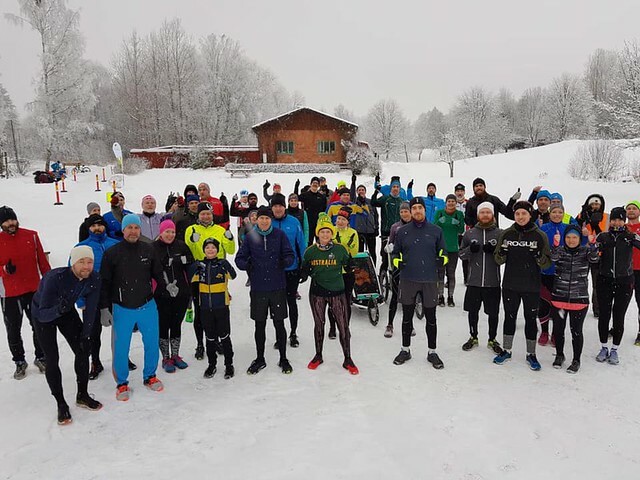 Haga parkrun was back on this week, after a 3 week absence due to icy conditions. 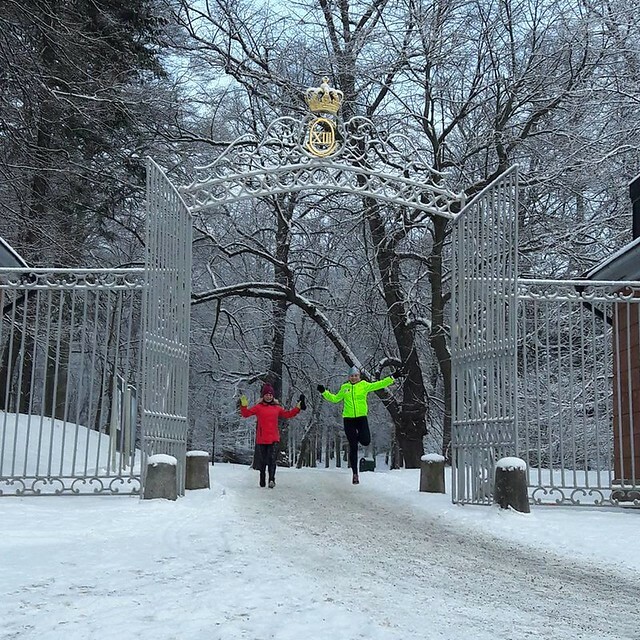 We welcomed visitors from Poland – Lucyna Waruszewska and Alina Wrzalkowska are pictured here passing through the Haga Södra gates on the way to the finish.